The fall season has come and gone for many, and now it’s time to embrace the winter. Depending on where you live, that means crisp weather, snow-laden soil, icy lakes, and tons of layers. Some people can’t get enough of this season while others dream of escaping to a warmer destination. But the one thing we all have in common? The itch for a travel adventure to somewhere away from home. Whether you’re looking for a wintry destination or somewhere to stay warm, read on for our 10 best winter vacations. Let’s be honest, there are too many awesome winter vacation spots to count—bad news for indecisive travelers like us. That’s part of what makes knowing your weather preference so important. If you can narrow down what you’re looking for to cold winter vacations, you’ll have a better starting point. Some travelers may find beach vacations more of their tempo, and others may enjoy being snowbirds. Whether your trails look like snow slopes or a sunny mountain hike, travelers can find their ideal winter destination- even if it becomes a last-minute vacation. This one is crucial, because some places are way more expensive than others. Planning a Christmas vacation on a budget? Phuket, Buenos Aires, and Cape Town are all great options for cheap winter vacations. You may find all-inclusive vacation packages within budget while still keeping within range of four-star hotels. Remember that city resorts and vacation rentals increase in price during popular seasons. Ready to spend the big bucks on opulent hotels and activities? You’ll easily accomplish that in Dubai. There are plenty of all-inclusive resorts that include family-friendly activities everyone will enjoy when travelers have a larger budget. 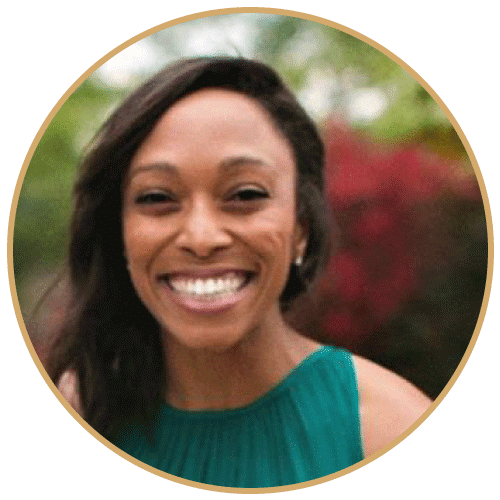 Make sure you have an idea of how modest (or immodest) you can be with your spending on your trip. We guarantee if you keep this question along with the previous one in mind, you'll end up having one of the best winter vacations ever. Now that you’re a little more prepared to make a wise choice, here’s our list of the best winter travel destinations. 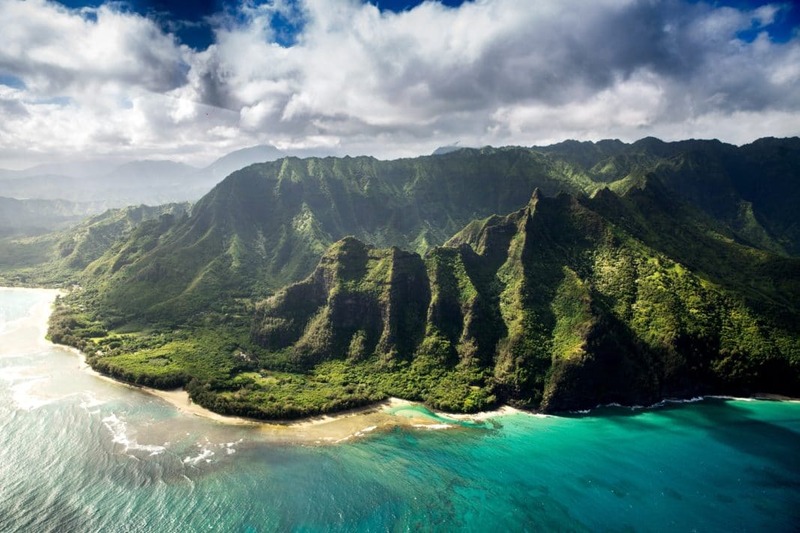 Calling all outdoorsy types: you will fall in love with the nature-rich island of Kauai. This is without a doubt one of the most incredible places to visit for adventure travel enthusiasts. It’s the oldest of Hawaii’s main islands, so it’s no joke that it’s filled with so many natural wonders. From lush forests, to majestic canyons, to powerful waterfalls, it’s easy to get lost in the beauty of this place. Despite the lack of ski resorts here, family vacation looks exciting and adventurous on this breathtaking island. There are many things to do in Kauai that places it on our list of places to travel during winter. For one, there’s the Waimea Canyon to visit, or the “Grand Canyon of the Pacific.” The name alone is reason to make a hike through this majestic natural attraction. Then there are Kauai Island air tours where you can marvel at breathtaking aerial views of its geography from a helicopter. Wailua Falls is a magnificent site to behold, standing tall at 173 feet with roaring waters gushing forth (but be careful!). And one more—because we just can’t help it—weathered hikers have got to trek the Waialeale Blue Hole hike! This is for the avid adventurer and has its risks (see #4 here), but if you’re careful, it’s definitely worth the views. 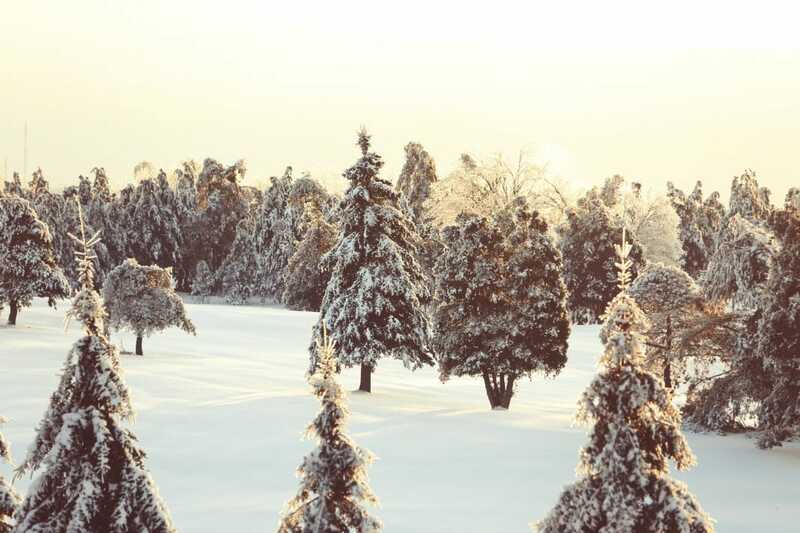 If basking in a real-life Winter Wonderland sounds appealing to you, your search is over. Quebec City will make for one of the best winter vacations you’ve ever experienced. It’s a city where Christmas cheer unabashedly (yet still tastefully) permeates every corner. With snow-capped homes and delicious aromas escaping authentic French bakeries, it’s one of the best winter vacations for couples. You and your loved one can indulge in mouthwatering Quebec cuisine at a variety of restaurants. Better yet, take your indulgence to another level by going on an Old Quebec food tour! Stroll down snow-dusted streets lined by lanterns shedding delicate light and explore the Christmas Market in Old Port Market. This place has charm like none other. But it’s not just for the romantics. History buffs will love the snowy presentation of the many historical attractions. Visit the Chateau Frontenac, a UNESCO World Heritage site, royal in its beauty and nestled atop the city’s main hill. Marvel at the majestic interior of the Notre-Dame Basilica, or the stoic architecture of the Citadel. Even Skiers will love Quebec! From Cross Country skiing to downhill skiing, Quebec also contains a popular ski area. Ski-in and ski-out of the various slopes; they have different levels ranging from beginner to expert. Afterward, travelers can unwind with a refreshing sit in a hot tub, hop on a sleigh ride, or even go ice skating if they’re up to it! So, if you’re dreaming of a romantic winter getaway or simply a history-rich destination, Quebec City is a sure bet. Get ready for sensory overload with a trip to Phuket. From stunning emerald waters, to flavorful Thai cuisine, to luxurious villas, to massive limestone formations, there’s much to explore here. This comes as no surprise since it’s Thailand’s biggest island. Feeling like a beach day? Satisfy the craving by hitting the popular beaches of Hat Karon or Hat Patong. Both are conveniently located near restaurants, hotels, and nightlife, so you don’t have to go far for more fun. 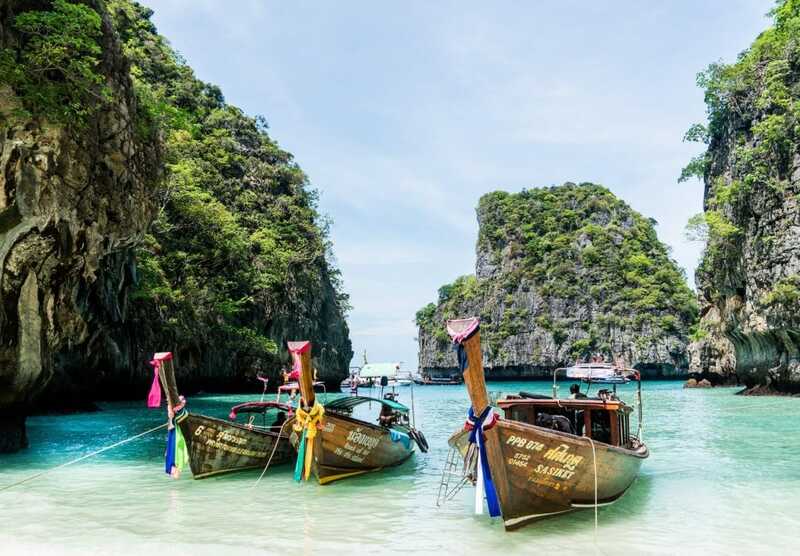 Or if you’re up for a little more action near the water, ride a boat to the stunning Phi Phi Island. You’ll be captivated by the surrounding bright waters and giant cliffs that shoot to the sky. Try the street food that’s bursting with good flavor (Por Pia is a great place to start if you like spring rolls!). Hike through swathes of greenery to get to Kathu Waterfall or Khao Sok National Park. Hang out with monkeys (yes, real, live monkeys) at Monkey Hill (plus take in even more unbelievable views overlooking Phuket town). Like we said, this place has just about every kind of adventure imaginable (except for snowy ones). So, no matter what kind of traveler you are, Phuket will end up being one of the best winter vacations you’ve ever had. 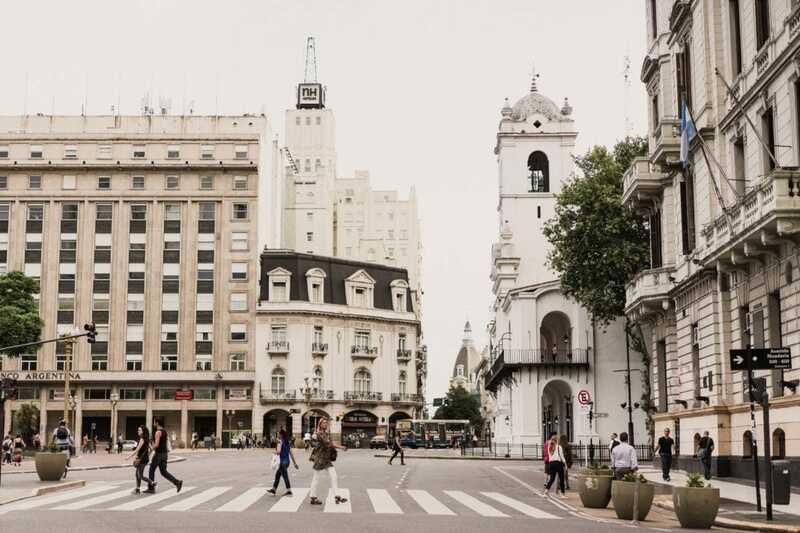 Art lovers will fall madly in love Buenos Aires as a warm winter getaway. While there’ll be no sign of Christmas until their winter season beginning in June, there’s plenty to see and do. If theater is your art (or at least one you appreciate), catching a show at Colón Theater is a non-negotiable. But the performance isn’t the only art you’ll see, for this opera house is decked out in stunning detail and impressive architecture. Then head to the National Museum of Fine Arts—which, by the way, is FREE. Yep, you can stroll amidst famous pieces from Picasso and Van Gogh and other jaw-dropping works from beloved Argentinean artists. Then there’s Caminito, the small, vibrant street in La Boca alive with street artists and tango dancers galore. Peruse the art crafted by this local street artists for a new addition to your home décor or be bold and learn some tango! In addition to the art-ridden streets is the drop-dead delicious food you’ll try. Hit the streets of Puerto Madera for juicy steaks bursting with flavor that you’ll never forget. Indulge in savory empanadas that will make you want to dance. The flavors you can find here will make you want to stay a little longer. The best part of it all? It’s an incredible affordable travel destination, so you won’t have to worry about every activity being a splurge. So if you’re ready for an art-filled winter getaway that’ll keep your belly satisfied, Buenos Aires is the place to go. Looking for a winter getaway spot where you can bask in nature of every kind? In that case, we suggest booking your flight to Costa Rica! No matter what kind of outdoor adventures you’re into, you’ll be sure to find it here. Rain forests, volcanos, beaches, and national parks abound, just take your pick! 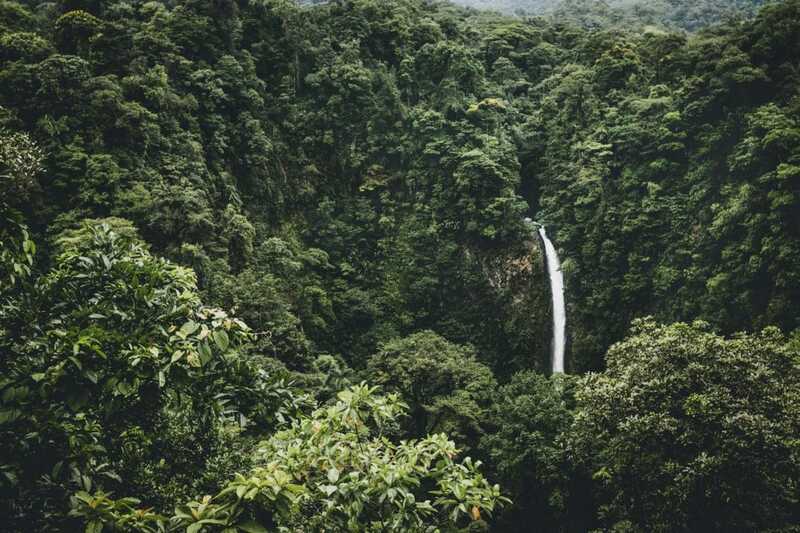 One of our favorite spots in this Costa Rica is the Monteverde Cloud Forest Biological Reserve. This area is in rich biodiversity, so you’ll be enchanted with all kinds of natural goodness at every turn. With over 300 species of fauna and thousands of different flora species, you’ll be constantly met with wonder. Yep, Monteverde is pretty much nature heaven. Some other must-sees in Costa Rica? Head to Arenal Volcano National Park for an unreal view of the still-active Arenal Volcano. Plus, there’s plenty to do around the area—of which our favorite is the Tabacón Hot Springs. There you can soak in these soothing thermal baths amidst lush greenery and elegant waterfalls. So if you're brainstorming some winter vacation ideas and a nature paradise is your priority, consider Costa Rica as an option! 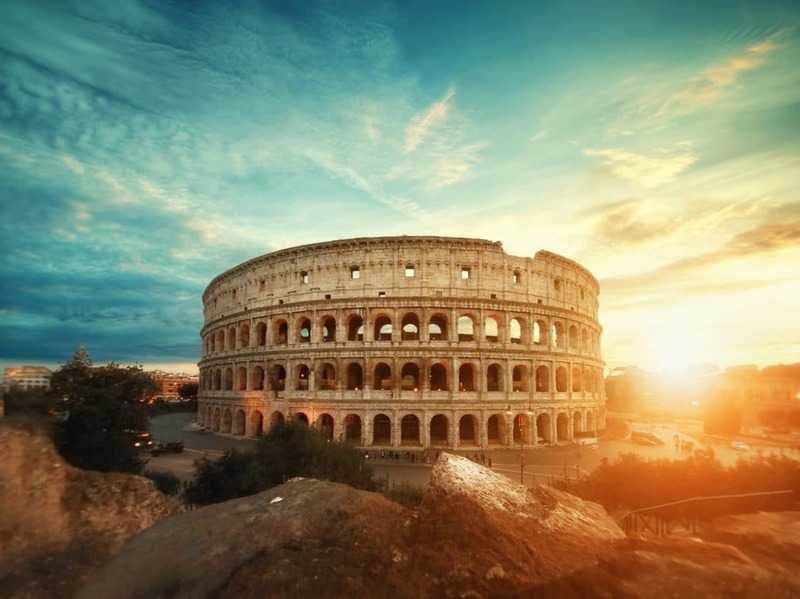 Make sure to head to the Colosseum and gaze in awe of its ancient beauty. The best way to do it is on a tour as guides enhance the experience with their special knowledge. A trip through the Sistine Chapel is a must as you admire the intricately decorated walls painted by Michelangelo himself. And of course, don’t miss out on treating yourself to a large quantity of authentic Italian pizza and pasta. A perfect way to warm up in the winter weather of Rome, right? Craving an island getaway for the winter? Honolulu is the perfect place to do it—but you won’t forget it’s Christmas, despite the warm weather. Many locals decorate their properties for the holly jolly season, so you’ll still feel the Christmas cheer. The difference is you’ll get to experience it island style, with sunny days, hiking adventures, and beach going. While you’re there, make sure to visit Hanauma Bay for some snorkeling and discover beautiful tropical fish and bright coral reefs. 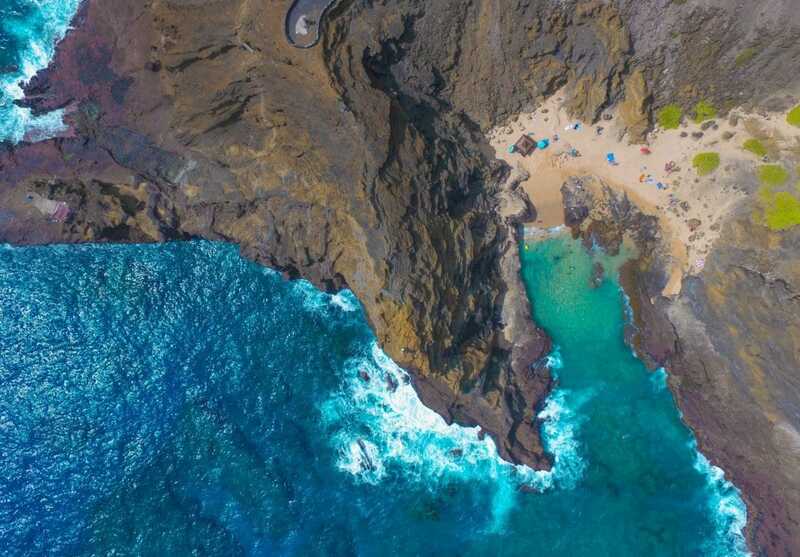 Hit the waves for a surf day at Waimea Bay or Waikiki Beach. Trek the Makapuu Lighthouse trail for some incredible views of the Pacific Ocean—plus some good vacation exercise. And don’t even think about leaving without making the hike up Diamond Head, the majestic volcanic crater that’s impossible to miss. So, if you want an island paradise this winter, Honolulu is one of the best winter vacations for it. Don’t get it twisted. Auckland might be number 8 on our list, but it’s still one of the best winter vacations to go on. While you won’t find any signs of winter weather here, you’ll find plenty of things to do. 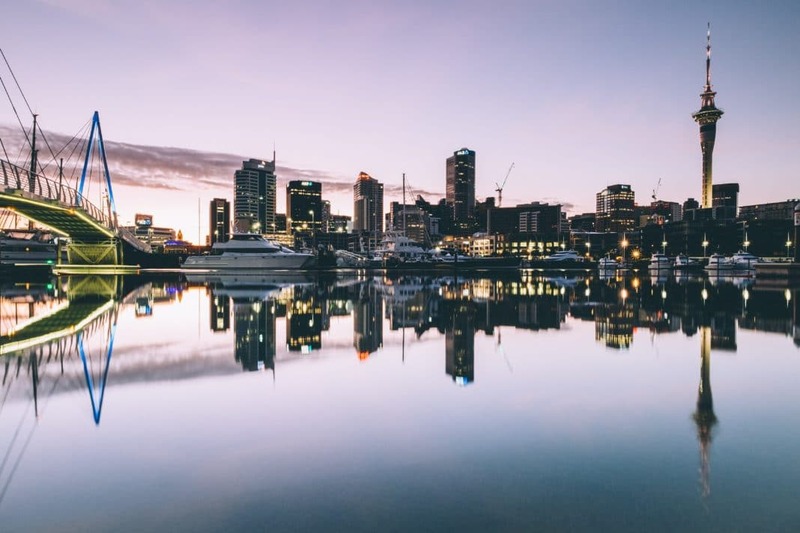 Whether you’re a thrill seeker or nature lover, Auckland will make for the perfect vacation destination. One of the most popular activities to do here during our winter months for the adventurous in spirit is sky diving. Or if that’s a little too adventurous for you, head to the stunning Waieheke Island for some views and good wine. Some other incredible spots to visit while in Auckland are Goat Island and Mokora Falls. Trust us, there’s no shortage of fun and beauty in this city, so make sure to consider it! 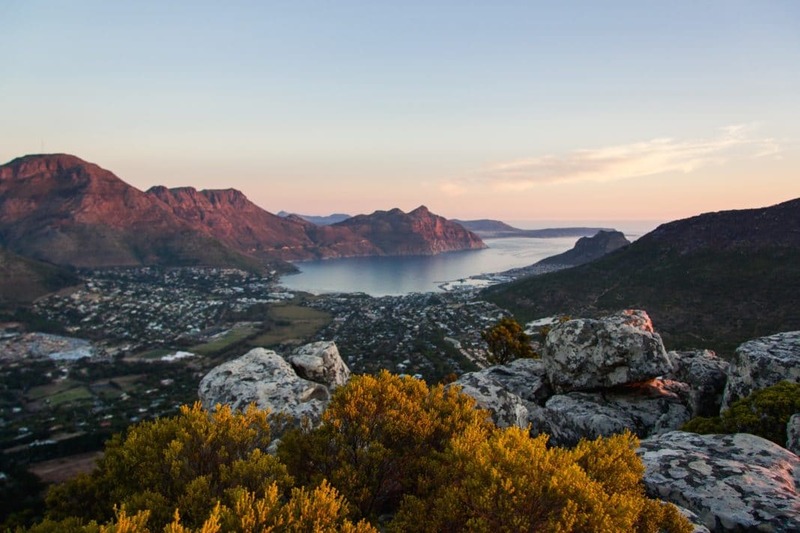 If you’re the kind of person who loves cheap winter getaways, Cape Town is a great option to consider. There are endless things to do and see here, ranging from the historic sites to bustling nightlife. But our favorite things to do here during the winter by far? Sipping on delectable wine and soaking in the perfect weather at the beach. Wine lovers, you’re tasting options in Cape Town are abundant. Head to one of the nine wineries along the nearby Constantia Valley route for a variety of pairings. Combine adventure with wine tasting on the 9-hour Wine and Whales tour offered by the Ellerman House. You’ll (hopefully) spot elegant Hermanus whales and (definitely) delight in local vintage wines, too. What’s not to love? Then there are the wonderful beach options to choose from. Hit Muizenberg Beach with the family for a day of surfing and laying out in the sun. Plus, the kids will get a kick out of the vibrant changing booths unique to this spot. Or head to Boulder’s Beach where you can swim amidst towering granite boulders—and maybe even spot a penguin! 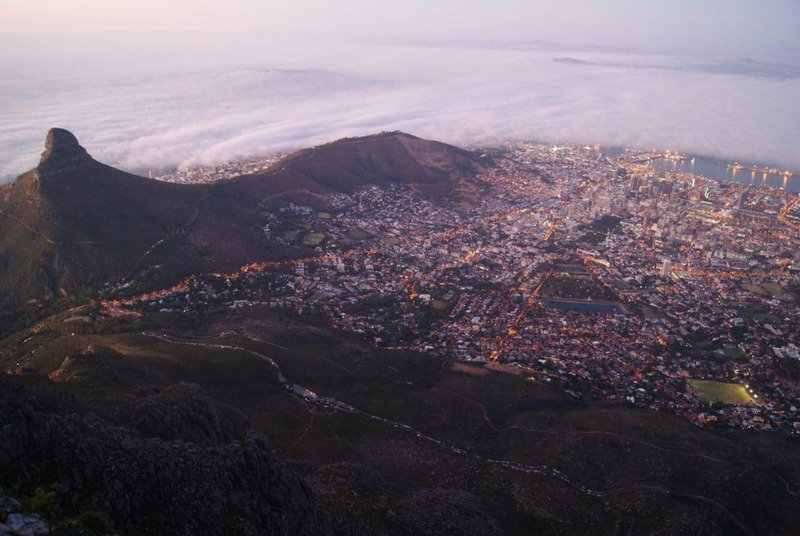 While those are our activities of choice while in Cape Town, they’re certainly not all it has to offer. Check out this article for an even more comprehensive list of things to do here! Dubai is one of the best winter vacations for those who’re interested in culture-rich experiences and a little bit (or a lot) of splurging. From opulent shopping, to sky-high buildings, to outdoor adventures, there’s much to explore for everyone. Shopping fanatics will be entranced within the walls of the Dubai Mall. With over 1,200 shops inside, you can literally shop till you drop. Or hit the Gold Souk, the traditional market where you can purchase authentic gold, diamonds, and more from different merchants. Outdoor enthusiasts will enjoy roaming the vast Arabian desert (although you’ll have to go with a guide). And for the culture curious, the Jumeirah Mosque is an enchanting place to discover. 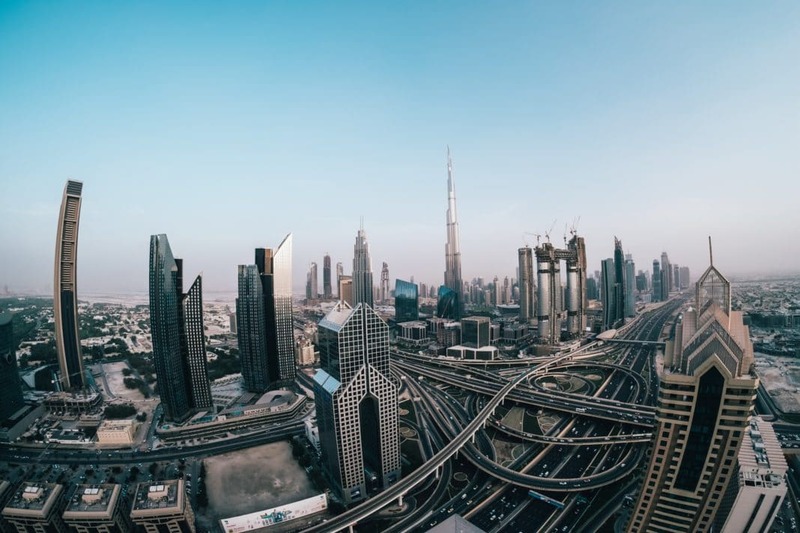 Whether you want to soak in luxury, stunning surroundings, or bask in the culture, Dubai is a perfect destination for it all. There's no doubt that the options are abundant when it comes to places to travel during winter. From snowy wonderland destinations to warm getaways, you can pretty much find a destination that's tailor-made do your preferences. Hopefully after reading our list of the 10 best winter vacations, you're a little bit closer booking your flight to the perfect winter escape! Of all of our best winter vacations, which one would you choose? Where do you think is the best place to vacation during winter vacay? Let us know your thoughts in the comments below!